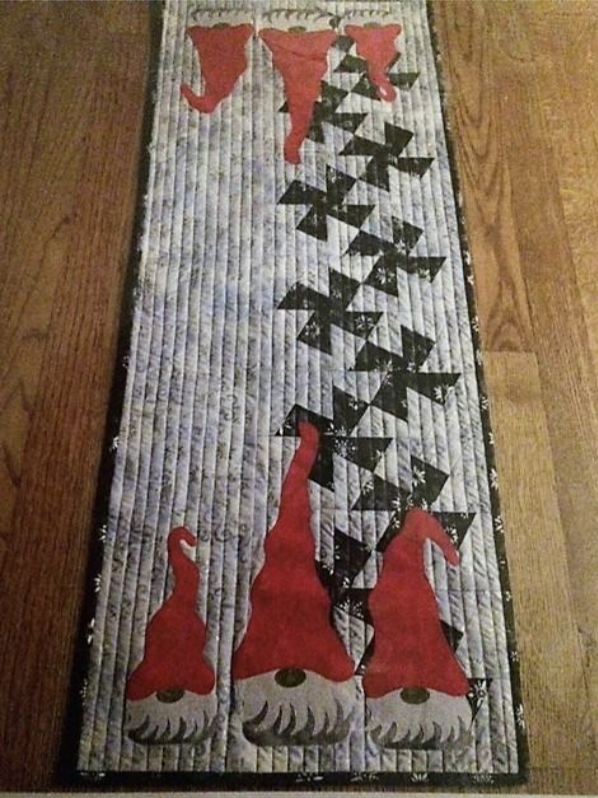 This class will prepare a square grid, make the twisted quilt panel, add the strips for the quilt top and then appliqué the gnomes onto the top. Wool or cotton fabric can be used to create the gnomes. Some cutting preparation will be done prior to the beginning of the class. You must purchase pattern from instructor.